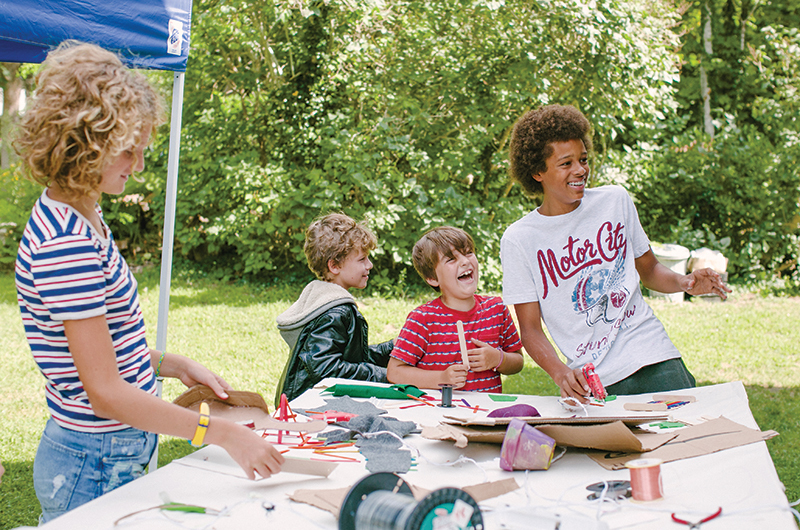 Pam Benjamin’s Sense of Wonder camp has always been about much more than just making art. Today, more than forty years later, the Benjamins are Island fixtures. Nat continues to design and build boats and is a co-founder of Gannon and Benjamin Marine Railway in Vineyard Haven. Pam, again like many Islanders, has worn a number of hats. She has been a mother and teacher, an artist, and with her husband, an activist and advocate, working with community centers and orphanages in hurricane-ravaged Haiti. 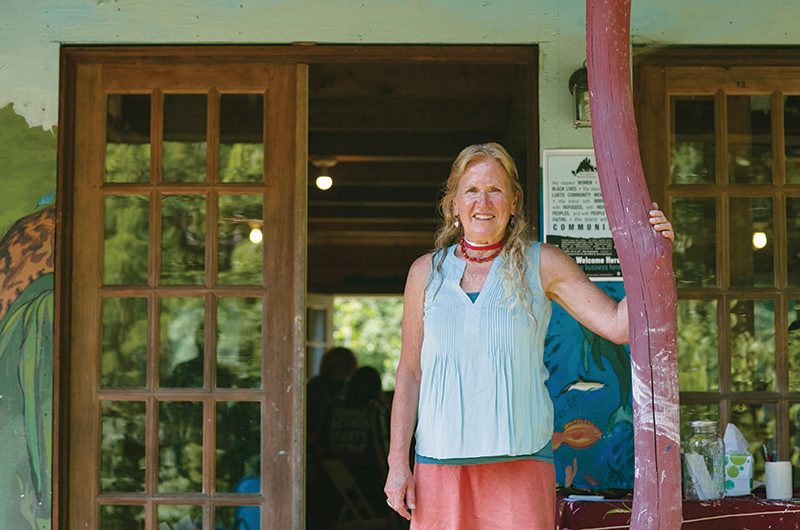 But her life’s work, the passion that has guided her through and between it all, can be found in a small but bustling space adjacent to her harborside Vineyard Haven home. Once a boatbuilding studio, the space now hosts hundreds of children year round, as home to the Sense of Wonder Creations summer camp and after-school art program. Sense of Wonder and I share a meaningful anniversary; I was a camper for the program’s inaugural season in 1991. It was my first full summer on the Vineyard, the first time I made “summer friends.” That summer also introduced me to the interdisciplinary style of learning and working that I would go on to explore as a student and young adult. Back then, of course, I mostly just appreciated the running wild in the woods, playing with paints, and puppet shows that made up our daily routine. For twenty-eight years Pam Benjamin has been fostering a broad appreciation of the power of creative endeavors. That sly, almost subversive introduction to big-picture thinking and a greater awareness of the world through the arts is at the heart of Pam’s agenda – if it can be called that. Better, perhaps, to call it a mission, as the goal of her wide-ranging programming is nothing short of a call to service. The philosophy that guides the camp is based on the idea that inspired, globally-conscious children grow into inspired, globally-conscious adults – adults who might one day change the world. It may seem a lofty goal, and indeed it came to Pam from a lofty place: a spiritual calling of sorts that Pam said she received during a daily practice all those summers ago. “I was asking for guidance, and the answer came as a combination of all of the things I’m passionate about,” she said of her inspiration to start both the camp and the after-school program in the same year. After going back to school for printmaking at the School of the Museum of Fine Arts in Boston, and helping to start the Montessori school and teaching art there, she knew she wanted to continue sharing her love of the creative process with children. 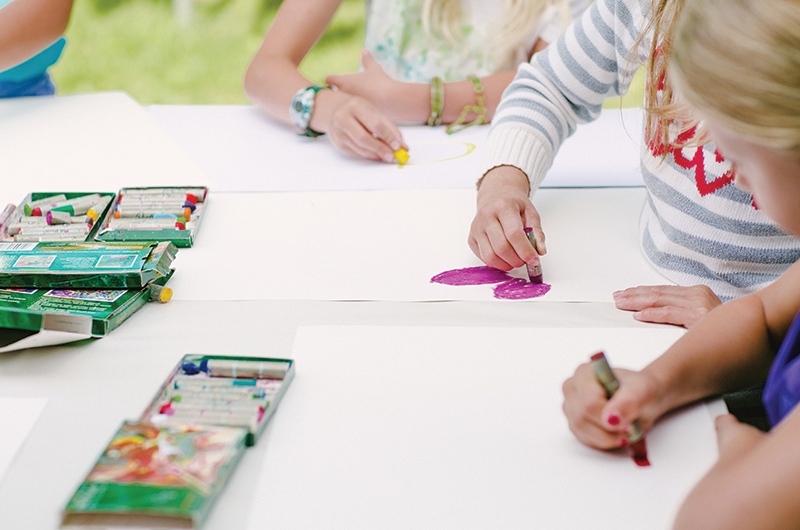 In the summer program, this relationship between art and culture is deepened by guest visitors who spend time with the children each session, many coming from far and wide. Dancers and musicians from South Africa and Uganda, as well as award-winning authors, artists, theater professionals, and puppeteers are all on the schedule for this summer, for example. Cross-cultural and cross-class connections are made not only between campers and visitors; many campers themselves come from other countries. In any given season children join the program from seven or eight different countries. Many of the campers also receive financial aid from the camp, part of an effort to make the experience available to everyone who wants it. The empathy and awareness campers cultivate during their time at Sense of Wonder stays with them well beyond the summer season. Many campers come back year after year, ultimately moving up in the rank to Leaders in Training, before becoming counselors themselves. “Some of them have stayed all the way until they are in their early twenties,” Pam said with a smile. And as the camp has grown – the first summer saw fifteen campers per session, and last year there were thirty-five – so has the tribe of Sense of Wonder alumni, many of whom Pam continues to hear from on a regular basis. She seems proud, though not surprised, that so many of them have gone on to careers in service or the arts. 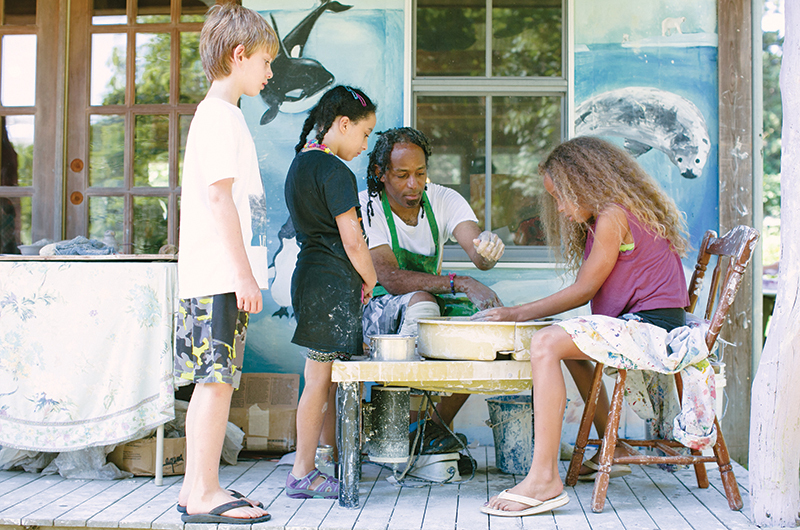 Lenston Daugherty teaches campers how to use the pottery wheel. Pam is grateful to have been a witness to the creative and personal development of so many Island children over the years. She is also in a unique position to observe changes in the campers as a group, many of which she attributes to advances in technology and the role it plays in the children’s lives. “It’s funny, even in the beginning I was worried about the role technology would play at camp,” she remembered. Though phones and tablets were not yet an issue, she was concerned by the amount of television many of the children were watching and had already started to notice a difference in the attention span of children who spent lots of time around technology and those who didn’t. This ability to stick with a single project or activity over time is something Pam works with the children on in depth. Recently the after-school students had been creating animal-themed paper lanterns, and Pam recalled working with one child who was becoming bored by gluing the papier-mâché pieces over and over again. While the summer program is livelier and more intense, with week-long themes that allow the children to immerse themselves in various projects and cultures, the fall, winter, and spring after-school sessions encourage more in-depth exploration. The lanterns, for example, came out of a long project on indigenous animals. Pam later had the idea to work with the Martha’s Vineyard Museum and hang the finished lanterns at the museum’s summer fundraiser, complete with an opening party for the children and their families. This, perhaps, is what most sets Sense of Wonder and Pam’s philosophy apart from other art programs. The message is never in the finished result; it’s all about the process. The time Pam spent with those students, talking about peace, brainstorming alternatives to war, and learning about various organizations, was an experience that would stay with each of them. The film itself was almost incidental. This is not to say that campers don’t achieve a deep sense of accomplishment by the work they create at camp. One quick glance around the studio reveals layers upon layers of past students’ finished work, from masks to puppets to a giant papier-mâché giraffe. Bins of materials, shelves of reference books, paints, paper, and rows of tables on which to create fill the room. It is a room where serious work takes place, though it’s also clear that a great deal of fun is had along the way. As Pam left to prepare for the afternoon’s class, I wandered the studio with a handful of children who had been dropped off on the bus. Class wasn’t officially supposed to start for another half hour, but the children were perfectly content to roam, working on side projects or chatting with friends or scampering outside in the Benjamins’ backyard. Another pair of students was looking at masks they had finished in another session. Both fifth graders at the Tisbury School, they had been coming to Sense of Wonder since they were six. One of them shrugged when I asked what she liked best about the space. “It’s our favorite place to be,” she said. I met Pam and Nat at my homeland (Cuba) and They invited me to visit home at Martha's Vineyards 16 years ago. I met the true North American heart with them. Their work and way of life with inside their community surprise me...They are leaving a great legacy for others about the way of understand Life, Nature, Art and Society. Pam is my example of how to make the difference and be better person. I would like in a close future do the same work with childrens at Homestead, Fla. Congratulations Pam!!!! A wonderful article, enjoyed reading it very much. Thank you for highlighting Pam's inspiring work, and those who help, and have, helped along the way. With best wishes to all, and thank you, again.